Can be delivered to any state within the US (or CAN) with the option of a DIY kit. 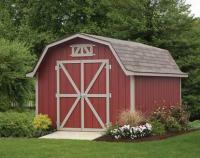 Our Charming Victorian Style Storage Barn has the elegant looks to enhance any backyard décor. Some of the special features include a dormer over the door, large hinged shutters, optional flower boxes and interior shelves. You just can't go wrong with the design and performance of this attractive shed. And did we mention affordable? Our 36 month Rent-to-Own plan for sizes 8' x 10' through 12' x 20' (available in 25 colors) can be delivered straight to your home or business. When you have this darling cottage for your storage building, you will be the envy of the neighborhood. Or maybe you would like to have that little get-a-way place for the weekend. You can do anything with this beauty from storing your mower to having a place for the kids to camp out. With 25 available colors and many sizes to choose from, it is all you will ever need. We also now offer a rent-to-own option to make it very affordable. Do you want that get-away-for-the weekend place all your own? Then our Cabin is the Building for you. We have sizes from an intimate 14' x 18' to a large 20' x 30' for the whole family. 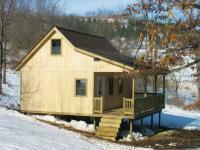 The Loft is for sleeping, the Porch is for sitting and the rest is up to you! The Base Model comes with 4 Windows and a 36" Metal entry door. 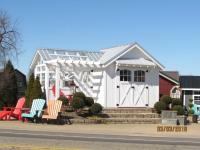 We offer options such as a metal roof, different porch styles, and multiple colors to make this your own special place! Our Gable Barn is an attractive option, especially when you need the double doors on the end because of space limitations. It comes standard with 2 windows and 2 shelves inside. From there you can "soup it up" with many options to make it your own! We now offer our storage buildings with a RENT-TO-OWN option. It is set up on a 36-month payment plan. 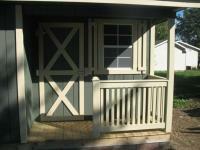 We are offering sizes of 8'x10' through 12'x20' on the rent to own plan. 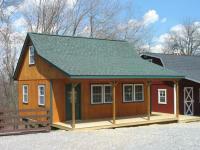 We will deliver the building to your home or business in your choice of 25 colors. Contact us for more info on the Rent-To-Own option. Do you need a place to do your woodworking? Or a special place to make your craft items? Or maybe you simply want your own "man cave" to just putter around in? Well, this is the Building for you! It features a workbench with drawers and pegboard, a loft and those wide doors to move your projects in an out. And to make it affordable, we offer 36 monthly payments on sizes 8'x10' through 12'x20' on the Rent-to-Own plan. We have 25 colors to choose from and free local delivery to your home or business. Garages are more than just a place to store your car or truck - it can be your personal "get away space" or be used as a workshop and always for more storage! 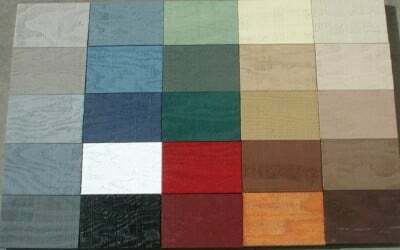 We have multitudes of colors and door and window options to please anyone. They come standard with an overhead door of course, for your vehicle but also a man door and a window. After that, your design takes over! 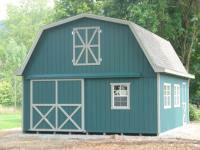 Our 8' Sidewall Storage Barns have a style that has been around for years. However, this style lends itself favorably to so many more options than just a place to keep cows. If one building needs to do double duty, put your vehicle downstairs and use the loft for storage, a workshop, or a place to relax. These have been used as stores, horse barns, as kennels, to display antique automobiles, vacation cabins, and even as a main residence. Classic style, lots of room, and durability make this a wonderful choice for whatever your needs are. 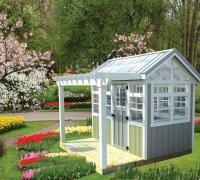 We are pleased to offer our exciting Garden Shed - available now for the planting season. 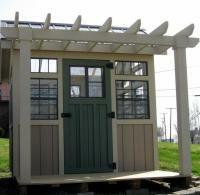 This is a pretty shed with a potting area and porch attached. While the shed section can be used for all your gardening equipment, the potting area contains shelves to use as a work counter or for growing young plants. Also available is the Stand-alone Potting shed which has many windows and clear roof panels. We have many sizes available from 6' X 8' to 10' X 24'. Check out our NEW Farmhouse Style! 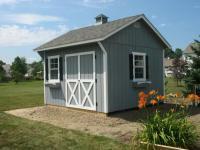 Our Carriage House Storage Shed and Now our NEW! Deluxe Model combines beauty with utility. 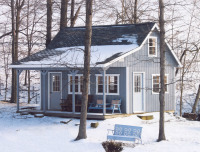 Its uses are numerous - from mower storage to woodworking shop to crafting to summer cabin. 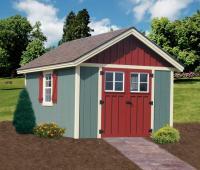 You name it, this stately and attractive shed has you covered. Our 36 month Rent-to Own Plan makes it very affordable. They are available in 25 colors and we include free local delivery right to your home or business.